Chapter 66 - Commerce and Business. Article 1 - Regulation and Inspection. § 66-1. County commissioners to appoint inspectors. § 66-2. Repealed by Session Laws 1973, c. 108, s. 22. § 66-3. Bond of inspector; fees. § 66-4. Falsely acting as inspector. § 66-5. Penalty for sale without inspection. § 66-6. Penalty on master receiving without inspection. § 66-7. Who to pay inspectors' fees; penalty for extortion. § 66-8: Repealed by Session Laws 1995, c. 379, s. 18.3. § 66-9. Gas and electric light bills to show reading of meter. § 66-10. Failure of dealers of scrap, salvage, or surplus to keep record of purchases of certain items misdemeanor. § 66-11: Repealed by Session Laws 2012-46, s. 26, effective October 1, 2012, and applicable to offenses committed on or after that date. § 66-11.1: Repealed by Session Laws 2012-46, s. 26, effective October 1, 2012, and applicable to offenses committed on or after that date. § 66-11.2: Recodified as G.S. 66-426 by Session Laws 2012-46, s. 27, effective October 1, 2012, and applicable to offenses committed on or after that date. Article 2 - Manufacture and Sale of Matches. § 66-12. Requirements for matches permitted to be sold. § 66-13. Packages to be marked. § 66-14. Storage and packing regulated. § 66-15. Shipping containers regulated. § 66-16. Violation of Article a misdemeanor. § 66-16.1. Retail sale of novelty lighters prohibited. Article 3 - Candy and Similar Products. §§ 66-17 through 66-22: Repealed by Session Laws 1998-98, s. 37. Article 4 - Electrical Materials, Devices, Appliances and Equipment. § 66-23. Sale of electrical goods regulated. § 66-24. Identification marks required. § 66-25. Acceptable listings as to safety of goods. § 66-26. Legal responsibility of proper installations unaffected. § 66-27. Violation made misdemeanor. Article 4A - Safety Features of Hot Water Heaters. § 66-27.1. Certain automatic hot water tanks or heaters to have approved relief valves; installation or sale of unapproved relief valves forbidden. § 66-27.1A. Water heater thermostat settings. § 66-27.2. Certain hot water supply storage tank or heater baffles, heat traps, etc., to be tested before installation or sale. § 66-27.3. Violation of Article made misdemeanor. § 66-27.4. Local regulation of hot water heater safety features. Article 4B - Safety Features of Trailers. § 66-27.5. House trailers to have two doors. § 66-27A: Recodified as 66-27.01 by Session Laws 1997-456, s. 27. Article 5 - Sale of Phonograph Records or Electrical Transcriptions. § 66-28. Prohibition of rights to further restrict or to collect royalties on commercial use. Article 6 - Sale of Nursery Stock. § 66-29: Repealed by Session Laws 1973, c. 918. Article 7 - Tagging Secondhand Watches. §§ 66-30 through 66-34: Repealed by Session Laws 1995, c. 379, s. 18.4. Article 8 - Public Warehouses. § 66-35. Who may become public warehousemen. § 66-37. Person injured may sue on bond. § 66-38. When insurance required; storage receipts. § 66-39. Books of account kept; open to inspection. § 66-40. Unlawful disposition of property stored. Article 9 - Collection of Accounts. §§ 66-41 through 66-49: Recodified as §§ 66-49.24 through 66-49.50. Article 9A - Private Detectives. §§ 66-49.1 through 66-49.8: Repealed by Session Laws 1977, c. 712, s. 2. Article 9B - Motor Clubs and Associations. §§ 66-49.9 through 66-49.23: Recodified as Article 69 of Chapter 58. Article 9C - Collection Agencies. §§ 66-49.24 through 66-49.50: Recodified as Article 70 of Chapter 58. Article 10 - Fair Trade. §§ 66-50 through 66-57. Repealed by Session Laws 1975, c. 172. Article 10A - Inventions Developed by Employee. § 66-57.1. Employee's right to certain inventions. Article 11 - Government in Business. § 66-58. Sale of merchandise or services by governmental units. Article 11A - Electronic Commerce In Government. § 66-58.3. Certification authority licensing. § 66-58.4. Use of electronic signatures. § 66-58.5. Validity of electronic signatures. § 66-58.12. Agencies may provide access to services through electronic and digital transactions; fees authorized. §§ 66-58.13 through 66-58.19. Reserved for future codification purposes. Article 11B - Electronic Access to State Services. § 66-58.20. Development and implementation of Web portals; public agency links. Article 12 - Coupons for Products of Photography. §§ 66-59 through 66-64: Repealed by Session Laws 1995, c. 379, s. 18.5. Article 13 - Miscellaneous Provisions. § 66-65. Indemnity bonds required of agents, etc., to state maximum liability and period of liability. § 66-66. Manufacture or sale of antifreeze solutions compounded with inorganic salts or petroleum distillates prohibited. § 66-67. Disposition by laundries and dry cleaning establishments of certain unclaimed clothing. § 66-67.1. Disposal by repair businesses of certain unclaimed property. § 66-67.2. Persons who sell used goods on consignment must keep certain records. § 66-67.3. Disposal of dies, molds, forms, and patterns. § 66-67.4. Film and photographic print processor or computer technician to report film or computer images containing pictures of a minor engaging in sexual activity. § 66-67.5. Requirements for maintenance fees for gift cards. Article 14 - Business Under Assumed Name Regulated. §§ 66-68 through 66-71: Repealed by Session Laws 2016-100, s. 1, as amended by Session Laws 2017-23, s. 1, effective December 1, 2017. Article 14A - Assumed Business Name Act. § 66-71.2. Statement of purpose. § 66-71.4. Filing of certificate; exception. § 66-71.5. Contents of certificate. § 66-71.6. Execution of certificate. § 66-71.7. Amendment of certificate. § 66-71.8. Withdrawal of assumed business name. § 66-71.9. Secretary of State to maintain a centralized, statewide database of assumed business name information. § 66-71.10. Register of deeds to index certificates; transmission of data to central database. § 66-71.12. Effect of filing certificate. § 66-71.13. Copy of certificate prima facie evidence. § 66-71.14. Consequences of signing false certificate or violating Article. § 66-71.15. Expiration of certificates filed under Article 14; transition provisions. Article 15 - Person Trading as "Company" or "Agent." § 66-72. Person trading as "company" or "agent" to disclose real parties. Article 16 - Unfair Trade Practices in Diamond Industry. § 66-74. What constitutes unfair trade practice. § 66-75. Penalty for violation; each practice a separate offense. Article 17 - Closing-Out Sales. § 66-77: Repealed by Session Laws 2015-103, s. 2(a), effective July 1, 2015. § 66-78. Additions to stock in contemplation of sale prohibited. § 66-79. Replenishment of stock prohibited. § 66-80. Continuation of sale or business beyond termination date. § 66-81. Advertising or conducting sale contrary to Article; penalty. § 66-82. Sales excepted; liability for dissemination of false advertisement. § 66-83. Restraining or enjoining illegal act. § 66-84: Repealed by Session Laws 1981, c. 633, s. 8. Article 18 - Labeling of Household Cleaners. § 66-85. Labeling cleaners containing volatile substances capable of producing toxic effects; definition. § 66-86. Penalty for selling product in violation of Article. § 66-88. Application of Article after enactment of federal legislation. §§ 66-89 through 66-93. Reserved for future codification purposes. Article 19 - Business Opportunity Sales. § 66-94.1. Responsible sellers exemption. § 66-95. Required disclosure statement. § 66-96. Bond or trust account required. § 66-97. Filing with Secretary of State. § 66-99. Contracts to be in writing; form; provisions. §§ 66-101 through 66-105. Reserved for future codification purposes. Article 20 - Loan Brokers. § 66-107. Required disclosure statement. § 66-108. Bond or trust account required. § 66-109. Filing with Secretary of State. § 66-110. Contracts to be in writing. §§ 66-113 through 66-117. Reserved for future codification purposes. Article 21 - Prepaid Entertainment Contracts. § 66-121. Buyer's right to cancel. § 66-122. Rights and responsibilities after cancellation. § 66-124. Bond or escrow account required. § 66-124.1. Record keeping; provision of records to the Attorney General. §§ 66-126 through 66-130. Reserved for future codification purposes. Article 22 - Discount Buying Clubs. § 66-132. Contracts to be in writing. § 66-133. Customer's right to cancel. § 66-135. Bond and trust account required. §§ 66-138 through 66-141: Reserved for future codification purposes. Article 23 - Rental Referral Agencies. § 66-143. Fees and deposits. § 66-144. Representations of availability. § 66-145. Bond or trust account required. §§ 66-147 through 66-151. Reserved for future codification purposes. Article 24 - Trade Secrets Protection Act. § 66-153. Action for misappropriation. § 66-155. Burden of proof. § 66-156. Preservation of secrecy. § 66-157. Statute of limitations. §§ 66-158 through 66-162. Reserved for future codification purposes. Article 25 - Regulation of Precious Metal Businesses. § 66-163: Recodified as Part 2 of Article 45 of Chapter 66, G.S. 66-405 through 66-414, by Session Laws 2012-46, s. 15, effective October 1, 2012, and applicable to offenses committed on or after that date. § 66-164: Recodified as Part 2 of Article 45 of Chapter 66, G.S. 66-405 through 66-414, by Session Laws 2012-46, s. 15, effective October 1, 2012, and applicable to offenses committed on or after that date. § 66-165: Recodified as Part 2 of Article 45 of Chapter 66, G.S. 66-405 through 66-414, by Session Laws 2012-46, s. 15, effective October 1, 2012, and applicable to offenses committed on or after that date. § 66-166: Repealed by Session Laws 2009-482, § 3, effective October 1, 2009. § 66-167: Recodified as Part 2 of Article 45 of Chapter 66, G.S. 66-405 through 66-414, by Session Laws 2012-46, s. 15, effective October 1, 2012, and applicable to offenses committed on or after that date. § 66-168: Recodified as Part 2 of Article 45 of Chapter 66, G.S. 66-405 through 66-414, by Session Laws 2012-46, s. 15, effective October 1, 2012, and applicable to offenses committed on or after that date. § 66-169: Recodified as Part 2 of Article 45 of Chapter 66, G.S. 66-405 through 66-414, by Session Laws 2012-46, s. 15, effective October 1, 2012, and applicable to offenses committed on or after that date. § 66-170: Recodified as Part 2 of Article 45 of Chapter 66, G.S. 66-405 through 66-414, by Session Laws 2012-46, s. 15, effective October 1, 2012, and applicable to offenses committed on or after that date. § 66-171: Recodified as Part 2 of Article 45 of Chapter 66, G.S. 66-405 through 66-414, by Session Laws 2012-46, s. 15, effective October 1, 2012, and applicable to offenses committed on or after that date. § 66-172: Recodified as Part 2 of Article 45 of Chapter 66, G.S. 66-405 through 66-414, by Session Laws 2012-46, s. 15, effective October 1, 2012, and applicable to offenses committed on or after that date. § 66-173: Recodified as Part 2 of Article 45 of Chapter 66, G.S. 66-405 through 66-414, by Session Laws 2012-46, s. 15, effective October 1, 2012, and applicable to offenses committed on or after that date. § 66-174: Reserved for future codification purposes. § 66-175: Reserved for future codification purposes. § 66-176: Reserved for future codification purposes. § 66-177: Reserved for future codification purposes. § 66-178: Reserved for future codification purposes. § 66-179: Reserved for future codification purposes. Article 26 - Farm Machinery Franchises. § 66-181. Usage of trade. § 66-182. Notice of termination of agreements. § 66-183. Supplier's duty to repurchase. § 66-185. Exceptions to repurchase requirement. § 66-186. Uniform commercial practice. § 66-188. Failure to repurchase; civil remedy. § 66-189. Reserved for future codification purposes. Article 27 - Sales Representative Commissions. § 66-191. Payment of commissions; termination. § 66-192.1. Revocable offers of commission; entitlement. §§ 66-194 through 66-199. Reserved for future codification purposes. Article 28 - Rental Car Advertising and Sales Practices. § 66-202. Rental car advertising. § 66-205. Agent licenses required. § 66-206. Effects of violations. § 66-207. Rental car companies assist in publicizing law. § 66-208. Reserved for future codification purposes. Article 29 - Invention Development Services. § 66-210. Disclosures made prior to contract. § 66-211. Standard provisions for cover notice. § 66-213. Mandatory contract terms. §§ 66-217 through 66-219. Reserved for future codification purposes. Article 30 - Credit Repair Services Act. § 66-220. Short title and purpose. § 66-222. Bond or trust account required. §§ 66-227 through 66-229. Reserved for future codification purposes. Article 31 - Membership Camping Act. § 66-233. Administration; unlawful offer or execution of membership camping contract. § 66-234. Registration of membership camping operator. § 66-235. Time of effect of registration. § 66-237. Registration of salespersons. § 66-238. Membership camping operator's disclosure statement. § 66-243. Provision of records to the Secretary of State. § 66-244. Limitation on duration of contract term. § 66-248. Reserved for future codification purposes. § 66-249. Reserved for future codification purposes. Article 32 - Peddlers, Itinerant Merchants, and Specialty Markets. § 66-251. Itinerant merchant and peddler must have permission of property owner. § 66-252. Display and possession of certificate of registration. § 66-253. Display of identification upon request. § 66-254. Records of source of new merchandise. § 66-254.1. Certain sales prohibited. § 66-255. Specialty market or operator of an event registration list. § 66-256. Exemptions from Article. § 66-258. Local regulation not affected. § 66-259. Reserved for future codification purposes. Article 33 - Telephonic Seller Registration and Bond Requirement. § 66-261. Registration of telephonic sellers. § 66-263. Bond requirement; prizes and gifts. § 66-264. Calls made to minors. § 66-265. Offers of gifts or prizes. §§ 66-267 through 66-269. Reserved for future codification purposes. Article 34 - Certificates of Authentication. § 66-270. Authority of Secretary of State to authenticate documents. § 66-272. Certificate of authentication. § 66-273. Prerequisites for authentication. § 66-274. Limitations on authentication. § 66-275. Other methods of authentication not precluded. §§ 66-276 through 66-279. Reserved for future codification purposes. Article 35 - Agreements Between North Carolina and Foreign Governments. § 66-280.  Agreements between North Carolina and foreign governments to be filed. §§ 66-281 through 66-284. Reserved for future codification purposes. Article 36 - Truthful Advertisements of Costs of Servicing or Repairing Private Passenger Vehicles. § 66-285. Advertisements of servicing or repairing private passenger vehicles. §§ 66-286 through 66-289. Reserved for future codification purposes. Article 37 - Tobacco Reserve Fund and Escrow Compliance. § 66-293. Sale of certain cigarettes prohibited. § 66-294. Duties of manufacturers. § 66-294.1. Duties of Attorney General. § 66-294.2. Joint and several liability of importers of cigarettes manufactured by nonparticipating manufacturers located outside the United States. Article 38 - Year 2000 Liability and Damages. §§ 66-295 through 66-299: Expired. § 66-300. Reserved for future codification purposes. § 66-301: Reserved for future codification purposes. § 66-302: Reserved for future codification purposes. § 66-303: Reserved for future codification purposes. § 66-304: Reserved for future codification purposes. Article 39 - Self-Service Storage Rental Contracts. §§ 66-308 through 66-310. Reserved for future codification purposes. Article 40 - Uniform Electronic Transactions Act. § 66-315. Use of electronic records and electronic signatures; variation by agreement. § 66-316. Construction and application. § 66-317. Legal recognition of electronic records, electronic signatures, and electronic contracts. § 66-318. Provision of information in writing; presentation of records. § 66-319. Attribution and effect of electronic record and electronic signature. § 66-320. Effect of change or error. § 66-321. Notarization and acknowledgment. § 66-322. Retention of electronic records; originals. § 66-323. Admissibility in evidence. § 66-325. Time and place of sending and receipt. § 66-327. Consumer transactions; alternative procedures for use or acceptance of electronic records or electronic signatures. § 66-328. Procedures consistent with federal law. § 66-329. Choice of law in computer information agreement. §§ 66-331 through 66-339. Reserved for future codification purposes. Article 41 - Manufacturing Redevelopment Districts. § 66-347. Reserved for future codification purposes. § 66-348. Reserved for future codification purposes. § 66-349. Reserved for future codification purposes. Article 42 - State Franchise for Cable Television Service. § 66-351. State franchising authority. § 66-352. Award of franchise and commencement of service. § 66-353. Annual service report. § 66-354. General filing and report requirements. § 66-355. Effect on existing local franchise agreement. § 66-356. Service standards and requirements. § 66-357. Availability and use of PEG channels. § 66-358. Transmission of PEG channels. § 66-359: Repealed by Session Laws 2010-158, s. 11(a), effective July 1, 2010. § 66-360. Service to public building. Article 43 - Service Agreements. § 66-370. Motor vehicle service agreement companies. § 66-371. Home appliance service agreement companies. § 66-372. Miscellaneous requirements for motor vehicle and home appliance service agreement companies. § 66-373. Insurance policy requirements. § 66-374. Mechanical breakdown service agreements. § 66-375: Reserved for future codification purposes. § 66-376: Reserved for future codification purposes. § 66-377: Reserved for future codification purposes. § 66-378: Reserved for future codification purposes. § 66-379: Reserved for future codification purposes. Article 44 - Free Insurance. § 66-382. Unfair trade practice. Article 45 - Pawnbrokers, Metal Dealers, and Scrap Dealers. § 66-390. Requirements for licensure. § 66-391. Record-keeping requirements for pawnbrokers. § 66-392. Record-keeping requirements for currency converters and e-buyers. § 66-393. Pawnbroker fees; interest rates. § 66-397. Municipal or county authority. § 66-400: Reserved for future codification purposes. § 66-401: Reserved for future codification purposes. § 66-402: Reserved for future codification purposes. § 66-403: Reserved for future codification purposes. § 66-404: Reserved for future codification purposes. § 66-409. Bond or trust account required. § 66-410. Records to be kept. § 66-411. Items not to be modified. § 66-412. Purchasing from juvenile. § 66-414. Portable smelters prohibited. § 66-415: Reserved for future codification purposes. § 66-416: Reserved for future codification purposes. § 66-417: Reserved for future codification purposes. § 66-418: Reserved for future codification purposes. § 66-419: Reserved for future codification purposes. § 66-421. Required records and receipts for regulated metals transactions. § 66-422. Inspection of regulated metals property and records. § 66-423. Hold notices for nonferrous metals; retention of nonferrous metals. § 66-424. Prohibited activities and transactions. § 66-425. Permissible payment methods for nonferrous metals purchasers. § 66-426. Issuance of nonferrous metals purchase permits by Sheriff; form; fees; recordkeeping. § 66-431. Forfeiture of vehicles used to transport unlawfully obtained regulated metals property. § 66-432: Reserved for future codification purposes. § 66-433: Reserved for future codification purposes. § 66-434: Reserved for future codification purposes. § 66-435: Reserved for future codification purposes. § 66-436: Reserved for future codification purposes. § 66-437: Reserved for future codification purposes. § 66-438: Reserved for future codification purposes. § 66-439: Reserved for future codification purposes. Article 46 - Guaranteed Asset Protection Waivers. § 66-441. Scope of Article. § 66-442. Guaranteed asset protection waivers not subject to insurance laws. § 66-443. Insurance of guaranteed asset protection waivers. Article 47 - Zip Line and Challenge Course Financial Responsibility.